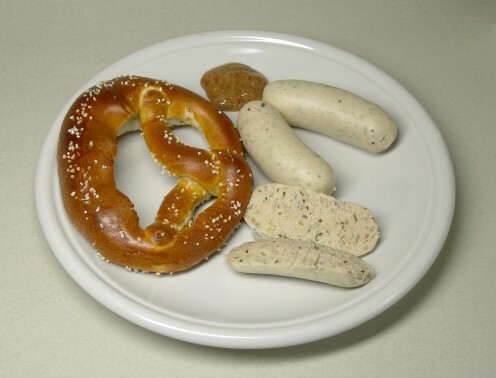 As a young boy growing up in Wausau, Wisconsin, I was very familiar with German sausage, or wurst as it is called in Germany. 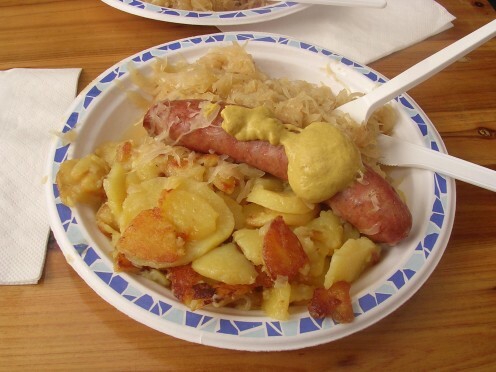 There were a lot of people of German decent in the area, so the demand for German style sausage was quite high. At least three butcher shops in the area made various German sausages and you could even find them in the local grocery stores and super markets. After I graduated from college, I moved to Newburgh, New York, and I was disappointed to see that you couldn’t find German sausages in any of the stores. There was plenty of Italian sausage, however, so I managed to survive. 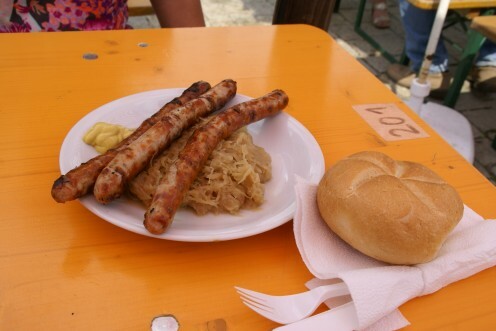 In 1971, I made my first trip to Germany and I was happy to see that the German sausage there looked and tasted a lot like the ones that I grew up with. 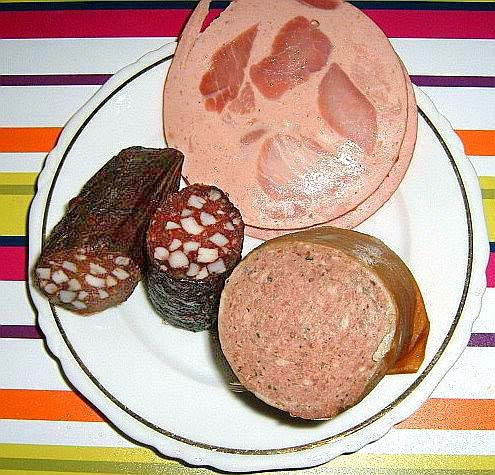 Later on, living in the Detroit area, I found that you could find German style butcher shops if you looked hard enough, but only a few types of wurst were displayed in the supermarkets and some of them were of questionable quality. Since I consider good quality German wurst as one of the great pleasures in life, I would like to provide a guide to the best of the wurst when it comes to German sausage. If you can not find them locally, I am certain that you can order them on line. 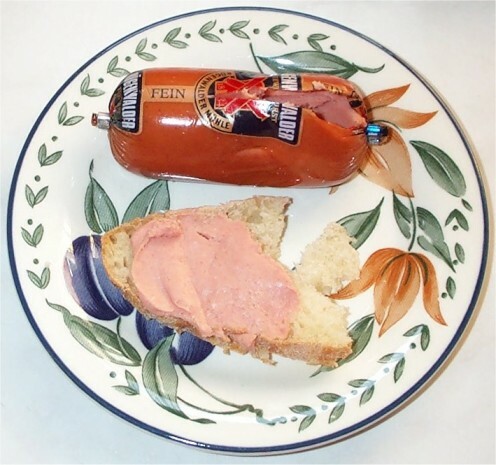 – Invented in 1889 in Berlin, This sausage is made from veal and pork and flavored with salt, pepper and paprika and is often smoked. It is usually simmered in water but it can be grilled. – This is the German sausage that most people are familiar with. It is usually made from veal, pork or beef and is normally grilled or pan-fried. 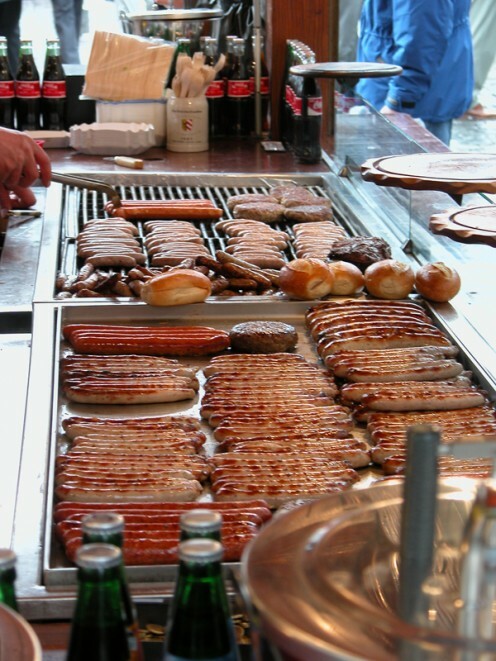 There are as many as 40 regional variations in Germany and it can be sold either fresh or smoked. 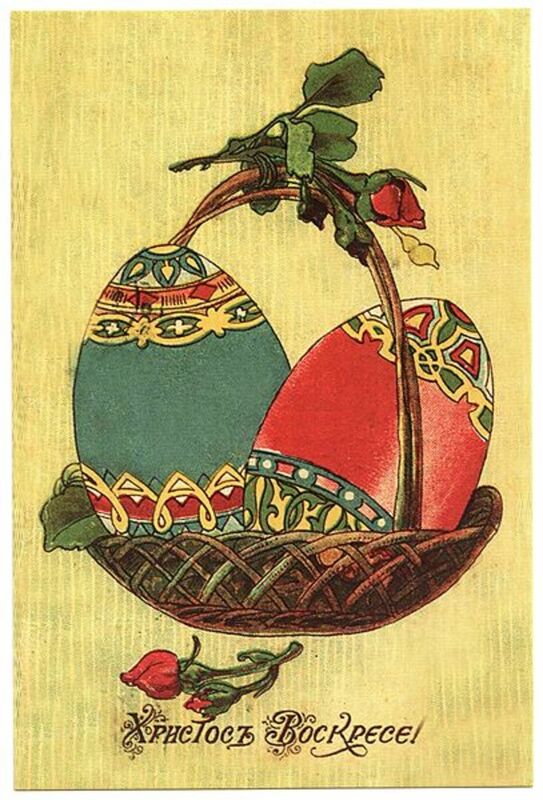 Brought to America by German immigrants, it was popularized in Sheboygan County, Wisconsin in the 1920s. Wisconsin is also the home of the "beer brat" where the bratwurst is poached in beer before grilling at cookouts. Currently, Miller Park in Milwaukee, Wisconsin, is the only baseball stadium that sells more bratwurst than hot dogs. 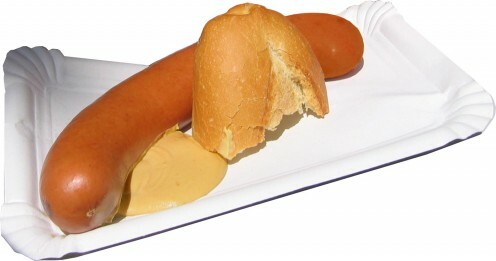 – This is not so much a type of sausage as it is a way of preparing it. 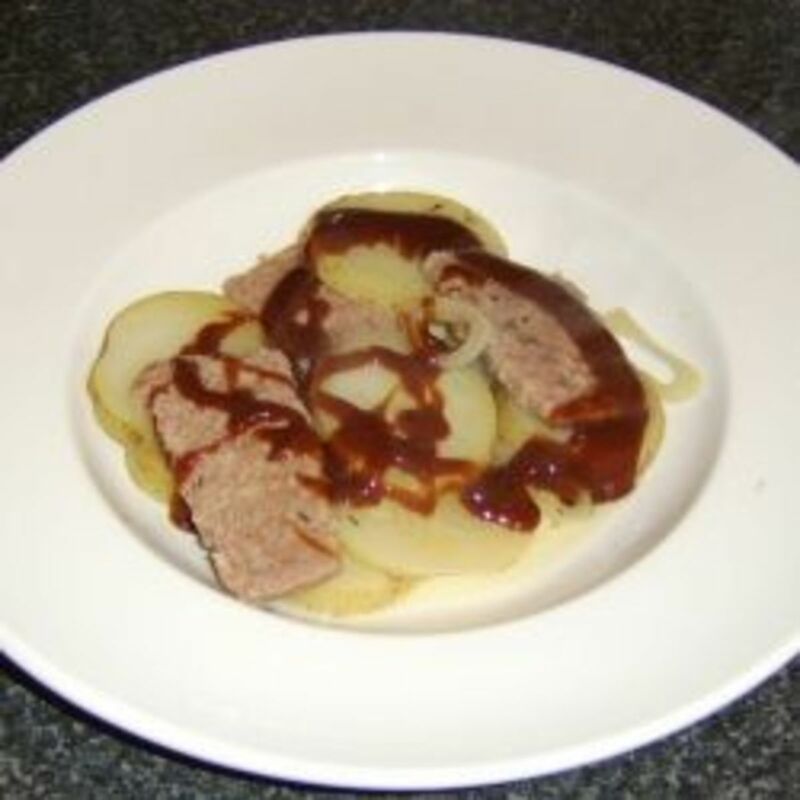 It consists of hot pork sausage cut into slices and seasoned with ketchup, curry powder and other spices. 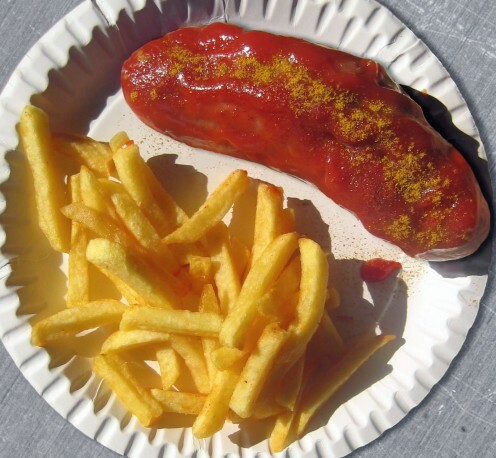 Invented in Berlin, Germany in 1949, it is now sold throughout Germany from street stands and food trucks. 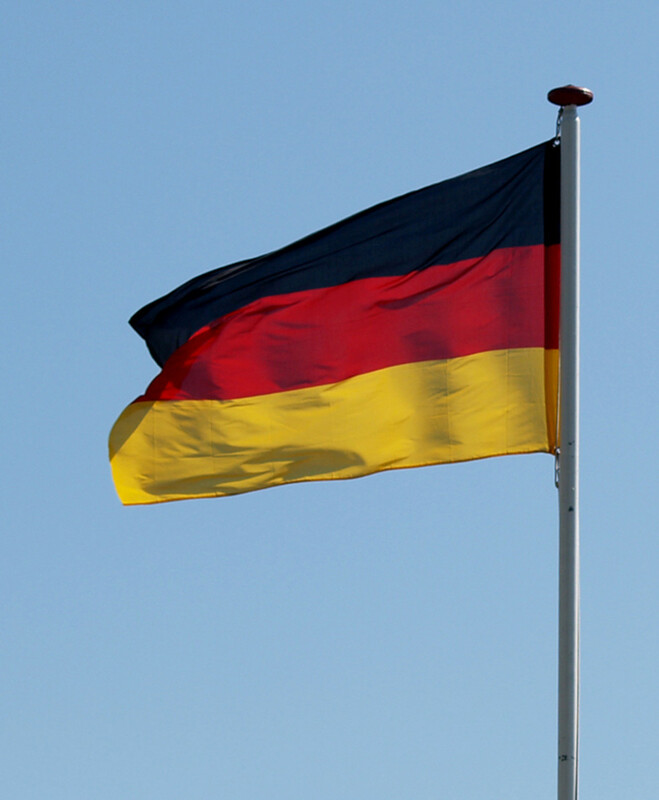 An estimated 800 million servings are sold in Germany every year. (Hunting Sausage) – A cooked sausage made from lean beef and pork, pork belly, garlic, mustard seed, capsicum, mace and cardamom. 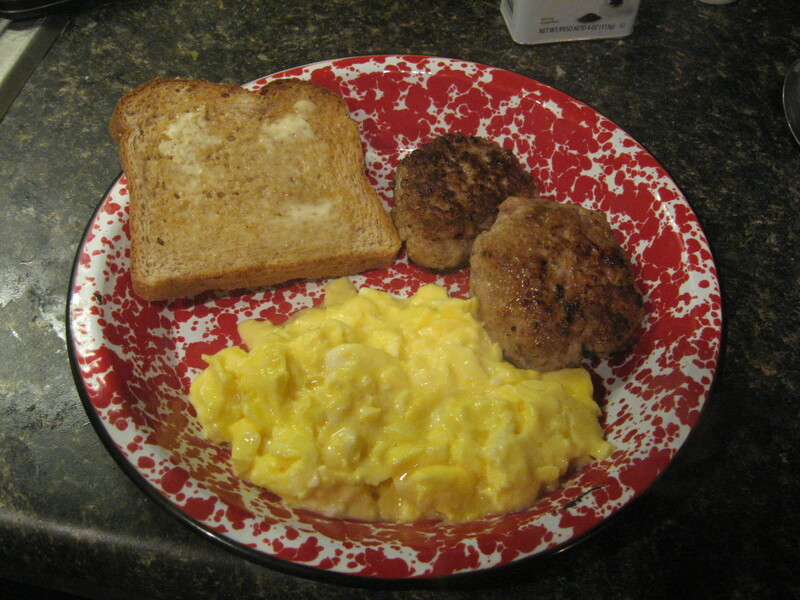 -A short, plump sausagemade from ground pork, veal and fresh garlic originating in the Holstein region of Germany. The name comes from the German word knacken, which means to crack. The sausage swells during cooking which causes the skin to pop and crack when bitten into. 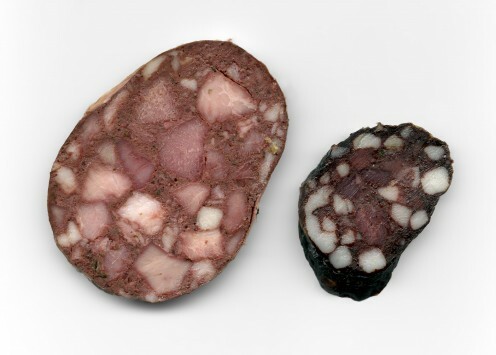 (Country hunter or gamekeeper) – Made of equal parts of beef and pork with lard, sugar, red wine and spices and then smoked and dried. It is frequently brought along by hikers and was once used as food for soldiers because it keeps without refrigeration. 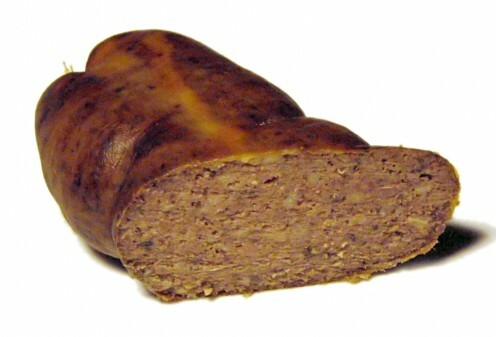 (Liver sausage) – It is normally made from pig’s livers and most varieties are spreadable. It can be plain or smoked and it is seasoned with other meat, fat, pepper, marjoram, allspice, thyme, ground mustard seed or nutmeg. 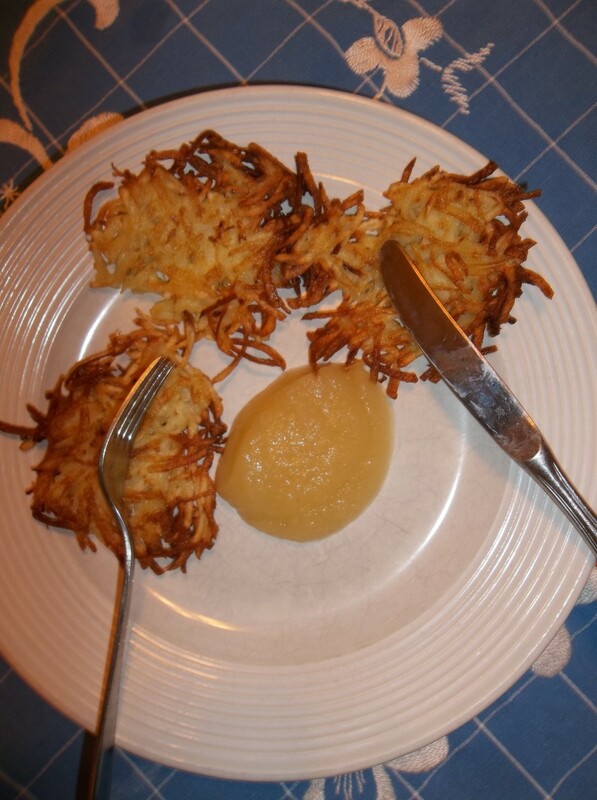 Onion or bacon can also be added and it is often eaten on rye bread with a slice of onion. A nice stein of beer wouldn’t hurt also. 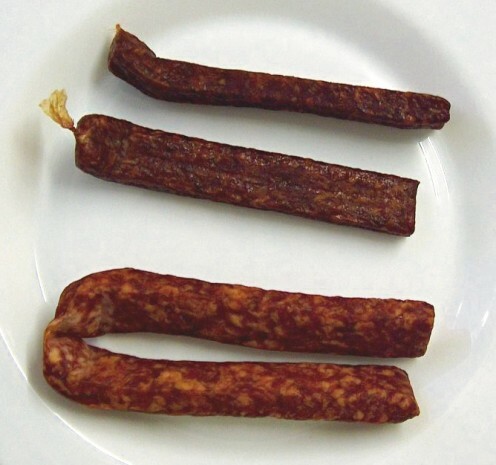 – A strongly flavored sausage made from raw minced pork, which is preserved by curing and smoking. – made from two parts of raw pork and one part of bacon, which are minced, packed in casings and smoked. It then has to mature seven to ten days. Its high fat content makes it very spreadable. 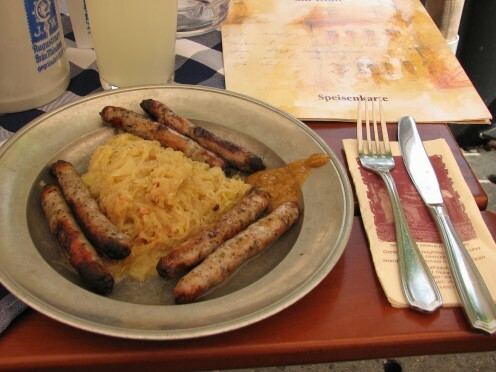 (White sausage) – A traditional Bavarian sausage made from minced veal and fresh pork bacon. It is seasoned with parsley, lemon, mace, onions, ginger and cardamom. It is made fresh daily and is traditionally only eaten in the morning. 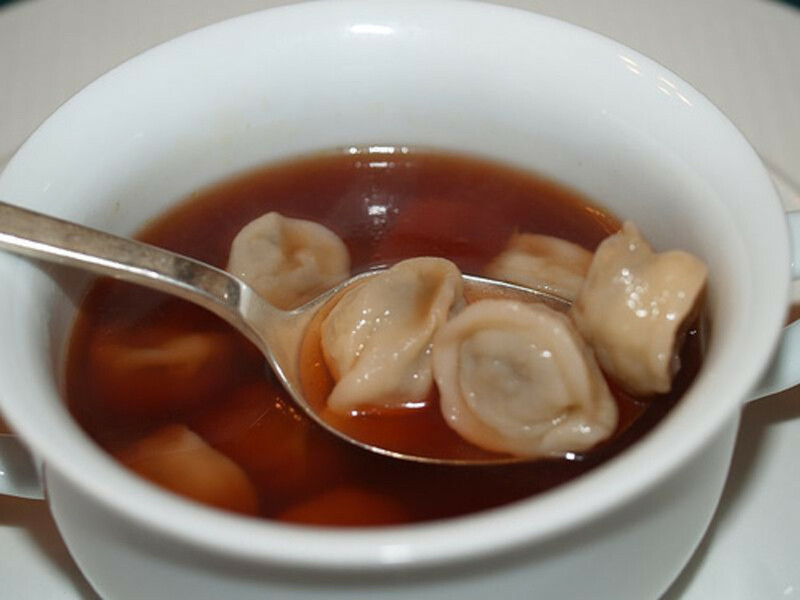 It is normally served boiled and the skin is removed before it is eaten. 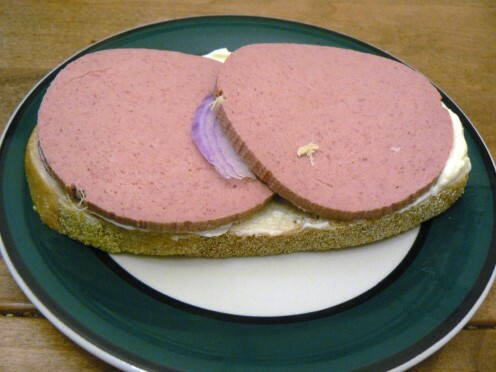 It is usually served with Bavarian sweet mustard. Of course there are a lot more regional varieties of wurst in Germany but most of them are not available in other countries. The sausages listed above are the ones that you are most likely to encounter in the United States. What is Germany's favorite fast food? Map of Germany with some cities that are famous for their wurst. RJSadowski, What a concise, informative, practical excursion through the world of German sausages! The title is entertaining, the meats photogenic, and the descriptions elucidating. 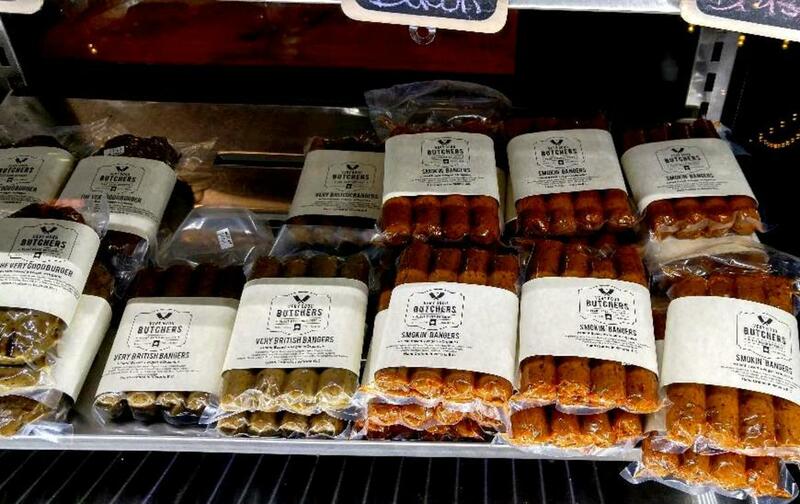 In particular, you do a great job of pinpointing the hallmark characteristic of each sausage and the reason for its greater or lesser appeal. Very informative and a lot of delicious sausages here. I have tasted some of these but will be looking out for the others. Thanks for this one. Delicious hub, makin me hungry. A number of these are new to me. It reminds me of when my father was alive we would drive 30 miles to a small shop with an old German man who made his own sausages. Nothing better than that. Not to lover of Mettwurst but have tried the others and like most of them. 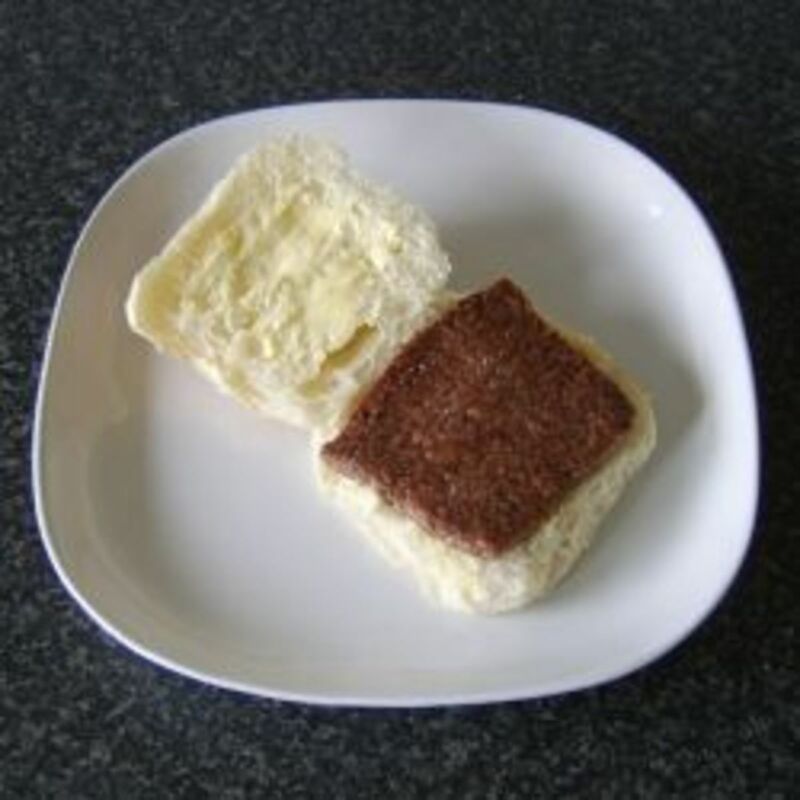 We always have Teewurst on the breakfast table but we like the fine and not the "Grob". Great way of introducing people to what Germans take for granted. Can't wait for next years Bar-B-Q season to get under way. Thank you all for your comments. While writing this hub, I realized that at some time or other in my life, I have tasted all of the sausages that I described. Yum do I love German sausages. This was a real delicious hub. You can try Whole Foods but most stores cater to their customers and if they don't buy German sausage, they won't stock it. Go on line and search for a source locally. Otherwise you can order it on line. Good luck. First of all, I love your title. The best of the wurst. Too clever--it made chuckle. Second, this post made me sad because I don't know where I can buy or even try any of that stuff in Hawaii. They say we're multicultural here--but that's a lie. Do you think if I go to Whole Foods (that's the nearest market to my house) would they have this stuff? If anything I could just order off of Amazon.com, right?